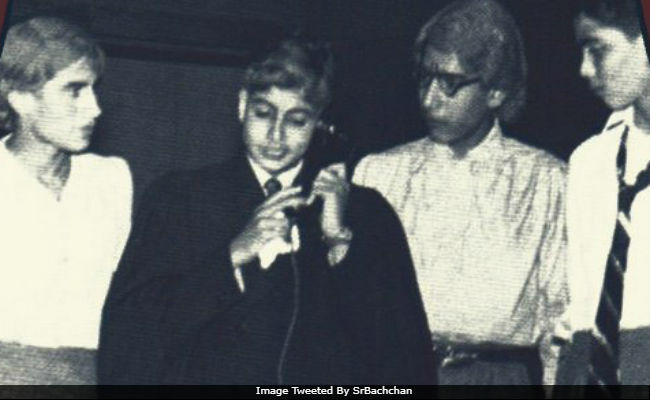 Megastar Amitabh Bachchan recently shared a picture of himself performing a play during his school days. Big B, who studied in Nainital's Sherwood College, had played the role of a school principal in the play. "World Theatre Day.. Sherwood College, Nainital. 1956, school annual play.. 'The happiest days of your life,' a girls school has a fire problem and shift to the boys school.. and chaos !! AB on phone playing Mr Pond, principal of the boy's school," he tweeted. (Mr Pond here is Big B). In the picture, Amitabh Bachchan is surrounded by three other students. Big B's mother Teji Bachchan was interested in theatre while his father Harivansh Rai Bachchan was a famous poet. Amitabh Bachchan, 75, is currently filming Thugs Of Hindostan, which also stars Aamir Khan, Katrina Kaif and Fatima Sana Shaikh. His next film is 102 Not Out with Rishi Kapoor, which releases in May. 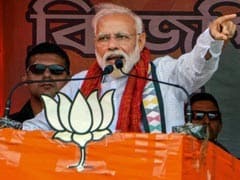 Meanwhile, he is also part of Alia Bhatt and Ranbir Kapoor's Brahmastra. Besides these Hindi films, Big B is all set to feature in a cameo in Chiranjeevi's Telugu projectSye Raa Narasimha Reddy. "Dear friend Chiranjeevi, that majestic super star and icon from the world of Andhra and Telugu cinema, requests for a guest appearance in his magnum opus, on a most valiant period character that he portrays, and I agree. So am off to begin its shoot in Hyderabad," Big B wrote on his blog. Meanwhile, several other Bollywood celebrities have shared their posts on World Theatre Day. Here they are. #worldtheatreday We performed a street play called Mann Ki Bhadaas - a musical at IIT Powai in 2002. Our theatre group Aaghaaz from DAV college Chandigarh got the first prize that year. That was the first time a college from a non metro city participated in Mood Indigo and got the first prize. Cant forget that day. @rochakkohli and @charandeepkalra are also in the pic. I'm sure it will be difficult for you guys to recognise me in this. I began my journey with theatre and there will always be special love for theatre in my heart. Wishing one and all a very Happy #WorldTheatreDay. Many Bollywood stars started their career as theatre artistes.